HTTPS just got faster and safer thanks to the release of TLS 1.3 by IETF (RFC 8446) in August 2018. TLS 1.3 is now the latest version of the TLS protocol. 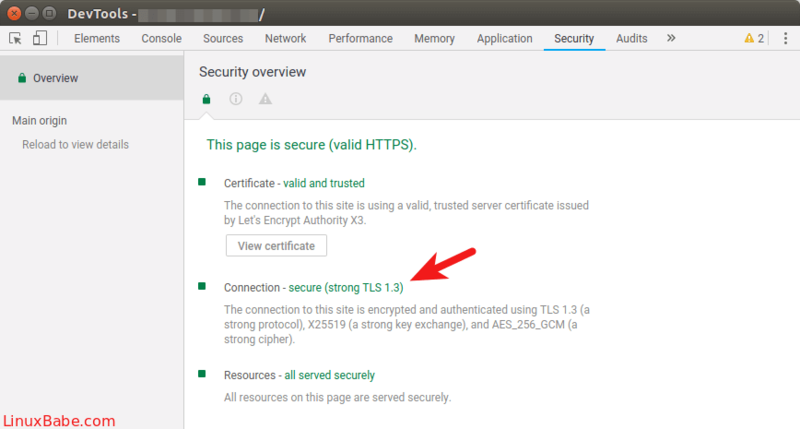 This tutorial will be showing you how to enable TLS 1.3 in Nginx web server on Ubuntu 18.04 and Ubuntu 16.04. Performance-wise, TLS 1.2 needs two round trips to establish HTTPS connection. With TLS 1.3, only one round trip is required. TLS 1.3 also supports zero round trip mode (0-RTT session resumption), allowing clients who have previously connected to your website to send HTTP request on the first message to the server. This makes a big difference for users on mobile networks or at far distant locations. In terms of security, TLS 1.3 removed support for old cipher suites, which is responsible for exploits like ROBOT attack. As such server admins can no longer add old cipher suites in TLS 1.3 to appease users of old web browsers. This, of course, is an oversimplified explanation. CloudFlare has a good detailed explanation of TLS 1.3. There are two requirements when it comes to enable TLS 1.3 with Nginx. Your Nginx version must support TLS 1.3. That means nginx 1.13 or above. Nginx needs to either be built with OpenSSL 1.1.1+, or runs with OpenSSL 1.1.1+. The second requirement may sound confusing, so let me give you two examples. Ubuntu 18.04 ships with OpenSSL 1.1.0. Replacing the system OpenSSL library isn’t a good idea, but you can download OpenSSL 1.1.1 source code and compile Nginx with OpenSSL 1.1.1 source code to enable TLS 1.3. Arch Linux currently ships with OpenSSL 1.1.1, but the Nginx package in Arch repository is actually built with OpenSSL 1.1.0. 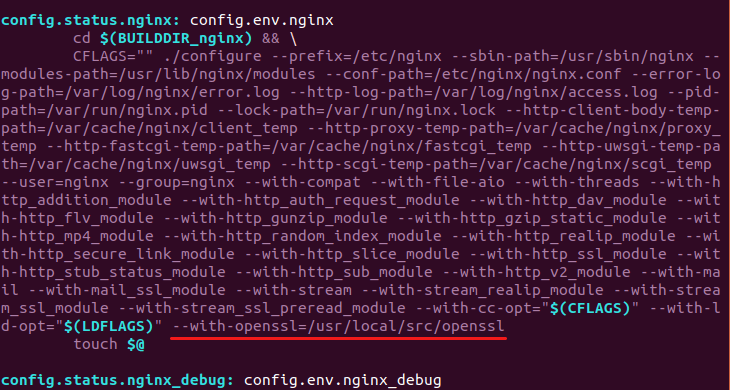 In this case, Nginx isn’t built with OpenSSL 1.1.1, but it runs with OpenSSL 1.1.1. Now let’s see how to compile Nginx with OpenSSL 1.1.1 on Ubuntu 18.04 and Ubuntu 16.04. Instead of downloading the source tarball and compiling it with make, I’m going to add the official Nginx repository to my Ubuntu server and then create a deb package from source code. In this way, I don’t need to manually add a long list of configuration parameter to the configure command. Also there will be a handy systemd service file within the deb package. First fetch the Nginx GPG key and import it to Ubuntu. Then create a source list file for Nginx repo. To save a file in Nano text editor, press Ctrl+O, then press Enter to confirm. To exit, press Ctrl+X. Then update local package index. Now the Nginx official repository is added to Ubuntu server. We will make a nginx directory under /usr/local/src/ to store the Nginx sources and then cd into that directory. Check out the downloaded files. Then clone the OpenSSL github repository. Next, list all branches and switch to the 1.1.1 stable branch. Edit Nginx compile rules file. Find config.status.nginx: config.env.nginx section. Add the following text at the end of CFLAGS line. Note that the following text isn’t a line by itself. Make sure you are in the Nginx source directory. Install dependencies to build our Nginx deb package. Now use the following command to build the deb package. Then edit the auto/cc/gcc file. Comment out the following line. The -Werror flag makes GCC treat warnings as errors. Then rerun the build command. Once the build is complete, there will be a Nginx deb package in /usr/local/src/nginx/ directory. If you have installed Nginx before, it’s time to remove the old version and then install the new version. If you see the following error message. Then unmask nginx and issue the start command again. Note that the Nginx process might run as user nginx or www-data. This can be changed by editing the first line in /etc/nginx/nginx.conf file. Just make sure Nginx run as the same user with PHP-FPM. Now check the config arguments of Nginx. As you can see, we have the latest version of Nginx built with OpenSSL 1.1.1. Now I assume that you have already enabled HTTPS for your Nginx server block. The syntax to enable TLS 1.3 is fairly easy. Open your Nginx server block file in /etc/nginx/conf.d/ directory or /etc/nginx/sites-enabled/ directory. Find the following line. Add TLSv1.3 to the list of protocols. Then add the following 3 cipher suites to your existing cipher suites. Update: As of Nginx 1.15.4, you can enable 0-RTT with OpenSSL by adding the following directive in the ssl server context. The default value is set to off. In the previous version 1.15.3, it can only be used with BoringSSL. Currently, Firefox 62 and Chrome 69 only support draft 28 of TLS 1.3. OpenSSL 1.1.1 supports the final version of TLS 1.3. Implementations based on draft version and the final RFC version do not interoperate with each other. To test our Nginx server now, we need to install the beta version of Google Chrome and enable the final version of TLS 1.3. Once you have Chrome beta installed, Enter chrome://flags/#tls13-variant in the address bar and switch from default to Enabled (Final). Then relaunch Google Chrome for the change to take effect. Now visit your TLS 1.3 enabled website in Google Chrome beta and press Ctrl+Shift+I to open the developer tools page. Go to Security tab. You can see the version of TLS in use. Firefox is said to ship the final version of TLS 1.3 in Firefox 63, scheduled for October 2018. 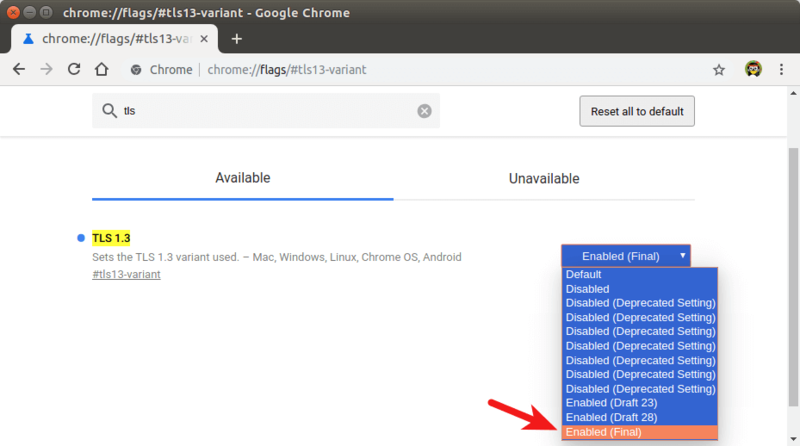 In Chrome 70, the final version of TLS 1.3 will be enabled for outgoing connections. Update: Chrome 70 added support for the final version of TLS 1.3, but it by default is stilling using draft 28 of TLS 1.3. If you are using CloudFlare CDN (Content Delivery Network), then your website is already using TLS1.3. In CloudFlare dashboard, select the crypto tab and you will see the option to enable/disable TLS 1.3. You can also enable 0-RTT. CloudFlare supports both the draft 28 version and the final version. That’s it! I hope this tutorial helped you enable TLS 1.3 in Nginx on Ubuntu 18.04 and Ubuntu 16.04. Take care. I compiled correctly and made the right configurations. I used Letsencrypt to generate the keys, yet I still end up with TLSv1.2 as the the highest supported protocol. As explained in this article, the current stable version of Firefox and Chrome by default support the draft 28 of TLS 1.3. You can change Chrome settings to make it support the final version of TLS 1.3. In Firefox I have’t found such setting. I have a site in Cloudflare with enabled TLSv1.3 and this same browser shows that it utilizes TLSv1.3. This site shows TLSv.1.3 as well. Doing SSL tests as well shows TLSv1.2 is used. Sorry, I forgot to tell you that you need to use Google Chrome beta and change the TLS 1.3 version. Chrome stable doesn’t include setting to switch to TLS 1.3 final version. It’s not about Chromes draft settings, both Beta and standard use the same 23 and 28, there is no final version in Beta. I tried to access the site I have on Cloudflare and it shows TLSv1.3 both on draft 23 and 28. Chrome Beta on Mac doesn’t incorporate the Final draft, Windows does. I will test it on my Windows machine. But how come this site runs v1.3 even though I’m using standard Chrome (draft 28)? Is it compiled with an older version of OpenSSL? 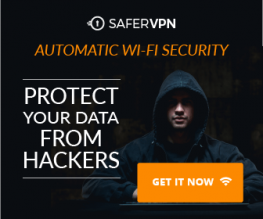 Because this site is on CloudFlare, which supports both draft 28 and final version. If I already have nginx installed through a Linux package and sites running on it, should I remove the package after I have compiled nginx or prior? Or there is not difference and it won’t break my sites if I don’t purge the conf files. You can uninstall the previous Nginx package at any time before installing the new one. Your sites will be down for a few moment. Don’t purge your existing server block configuration files. I also try this tutorial, my Nginx show built with OpenSSL 1.1.1a-dev, regenerate my site Keys, installed Chrome 70…but no TLS 1.3. Can’t understand whats happening. I recompiled nginx with openssl 1.1.1 and everything started working after I enabled TLS1.3 protocol. Please post the nearby message as well. This is normal. It just means the generated files can’t be signed because you don’t have a private key on this system. You can proceed to install the package. Your Nginx version is now 1.15.6. Please replace 1.15.3 with 1.15.6. Trying to install nginx v1.15.8 on Ubuntu 18.04 using this guide. I got this while following this guide. Here is the last output lines.